The value of bitcoin is constantly on the rise daily same with for the price of Gold. 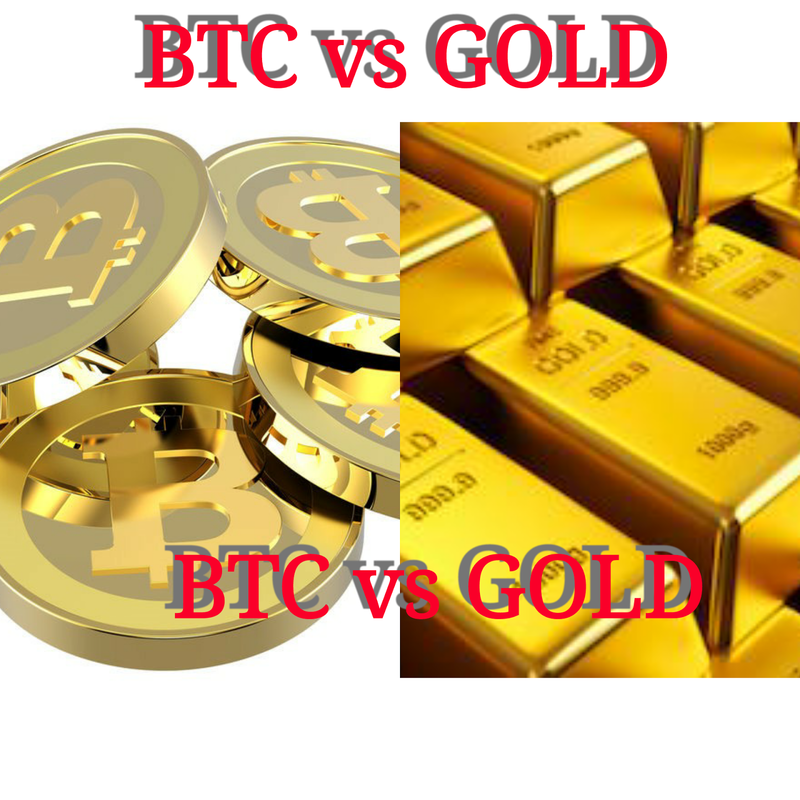 But the difference is that the rise in price for bitcoin is faster than that of gold. Introduced in 2009 by a person or group of people operating under the name Satoshi Nakamoto, bitcoin value has sky rocketed in the year 2017. The current price for an ounce of gold is $1,700 and the current price for one bitcoin is above $4,000. And according to statistics, bitcoin will hit $10,000 land mark by the end of the year 2017. So Judging from the rise of bitcoin, it seems a better investment compared to gold. According to GOLDSTUCKBULL, by the year 2018 Gold will worth $2,200 and according to COINTELEGRAPH, around that year bitcoin will worth about $13,000. So taking this two forecast into consideration one could rightly say that BTC is better investment compare to GOLD. There are different reasons why one should decide to invest and trade bitcoin and you can read some of the reasons from HERE:REASONS TO TRADE BITCOIN. With the recent SegWit activated in bitcoin, blocks now have more space and this means potential significant growth for bitcoin. If you wish to know more about BTC and how to own and grow one for future use, use the CONTACT US PAGE and send us a message. Don’t forget to subscribe to our newsletter for latest updates.